The following is a story about what happens after the ELT goes off. 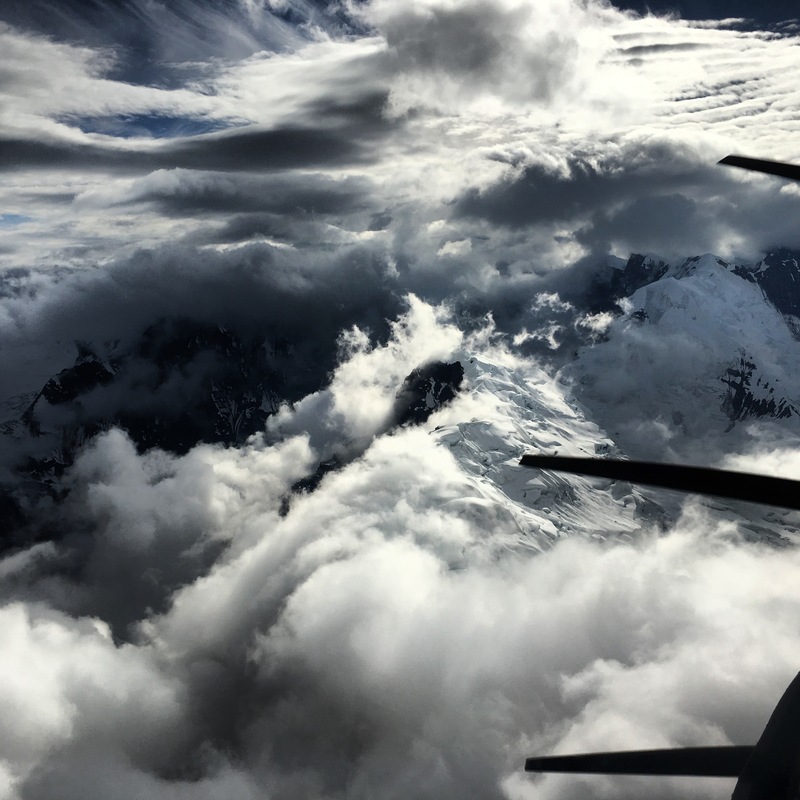 It is written from the perspective of a fellow Alaska Range Pilot… who happens to be married to the incident commander of the search-and-rescue effort. At 6 p.m. Alaska Daylight Time on Aug. 4, a de Havilland Beaver on a scenic flight impacted the side of a jagged ridge in Denali National Park. The aircraft’s ELT was the first indication that something was amiss. Shortly following the accident, the improbable occurred: A satellite phone call was made by the pilot. Though exact details remain mysterious, the pilot indicated that there were major injuries and/or fatalities, and that the occupants were trapped in the aircraft. One irrefutable fact was taken away from that call: There were survivors. Thus began the largest-scale SAR the Alaska Range has seen in decades. Other scenic aircraft continued to swirl about the mountains nearby, going about business as normal, while the occupants of the Beaver were passing through their darkest hour. Yet, across south-central Alaska, forces were marshaling. Military and civilian aircraft of an astounding mix were to become involved, syncing their combined talents in a battle against the odds. The odds were about as big as they come. The crash site was just under 11,000 feet on very steep, serac (ice cliff)-filled terrain below the ridge, one of an impressive peak called Thunder Mountain. Situated about 15 miles south of 20,310-foot Denali, it is actually a fierce arm of Mt. Hunter, the third highest peak in the Range. It is one of the more inaccessible areas in a mountain range known for its vertical nature, and an improbable place to survive a crash. Yet somehow they had. But for how long? According to other pilots who had been in the area around the time of the accident, the weather was volatile on the high ridges. “Really swirling clouds with a lot of flow,” a colleague of mine remarked. However, there was good VFR in the main glacier corridors, including the large highway of the Kahiltna. 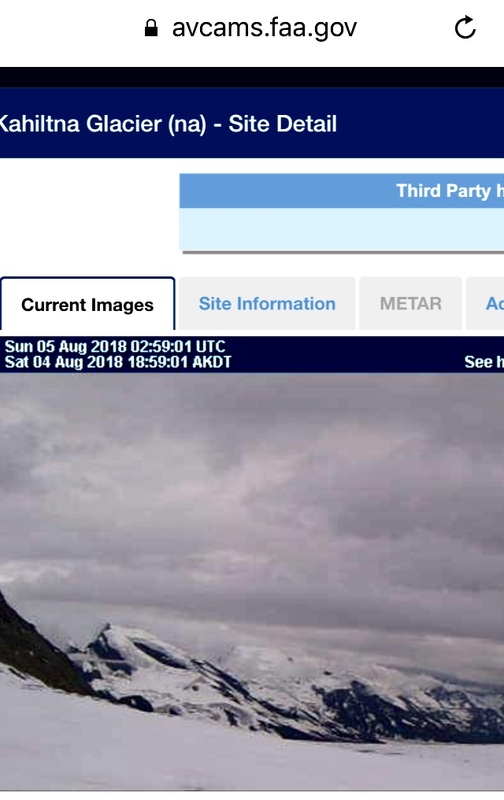 A weather camera on this glacier confirmed this for the times before and after the crash. 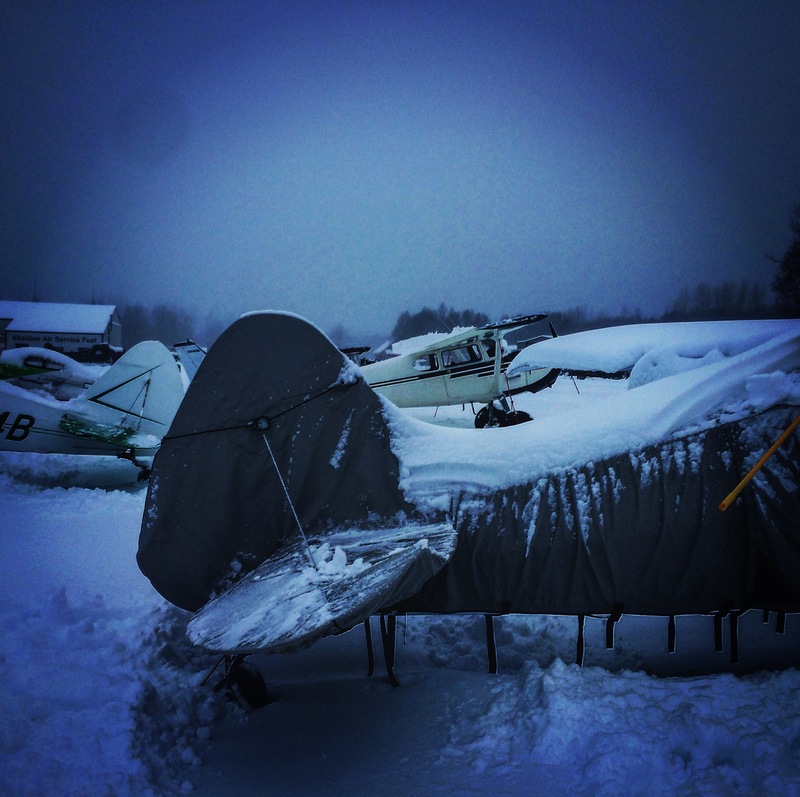 “We’ve all worked with less… much less,” another pilot said. 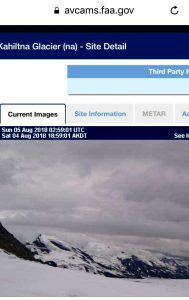 A screenshot of the Kahiltna weather camera taken approximately one hour after the event. The summits in the background are just south of the crash site, and depict a ceiling of over 10,000 feet msl. The glacier sits at 6,500 feet in this view shed. Photo by the author. However, things were about to change. The weather began deteriorating in earnest almost immediately. 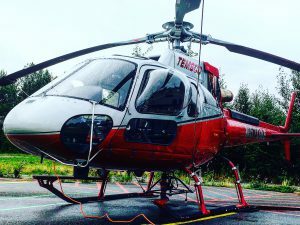 The National Park Service A-star B3 helicopter was able to get within a mile of the site about one hour after the ELT was detected, but it and all other aircraft were forced to return to Talkeetna ahead of the large storm that was to impact the area for the next few days. Overnight, the rain came down in sheets. I lay awake, listening to the roar of it on our cabin roof. At 1:15 a.m., my incident-commander husband finally made it home from the SAR room. At 5 a.m., he went back to work. The next day passed darkly, with no further contact from the downed Beaver. It’s tracking mechanism continued to give a signal, indicating the location of the aircraft. Forecast conditions aloft indicated high winds and snowfall at the crash elevation. The rainy calm of the morning was ripped asunder by the military helicopters, bravely making their way to Talkeetna through the murk. Two CH-47 Chinooks and two UH-60 Black Hawks journeyed south from Wainwright Army Base in Fairbanks, joined by two HH-60 Pave Hawks from Elmendorf. Additionally, the company of the downed plane sent out multiple aircraft. But no one would reach the Beaver that day. My husband came home late again, with stooped shoulders. At 4 a.m. he sat straight up in bed, clutching his iPhone. The weather camera showed unexplainable, good VFR on the glacier. “It’s happening,” he said. A marriage of NPS, Air Force, Army, and Pararescuers surged toward the site, while a military C-130 circled overhead. The downed beaver was in a precarious site, plastered to steep snow above a 4,500-foot cliff. A ranger friend remarked that it was not the scene they were hoping for. “About the worst-case scenario,” he said. A debate ranged over which helicopter was best for initial response. In the end, the NPS ship, dubbed the “hummingbird” by the larger aircraft, was dispatched. 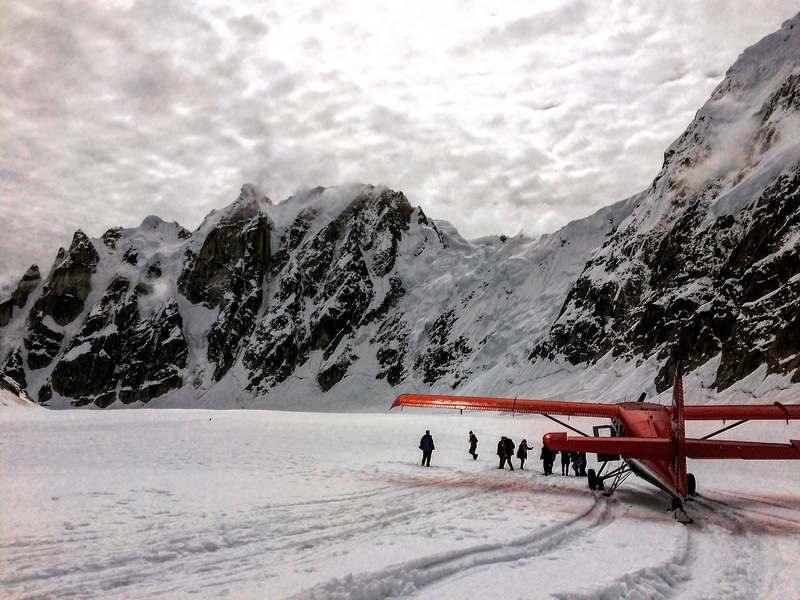 Talented pilot Andreas Hermansky short-hauled NPS ranger Chris Erickson to the precarious site. 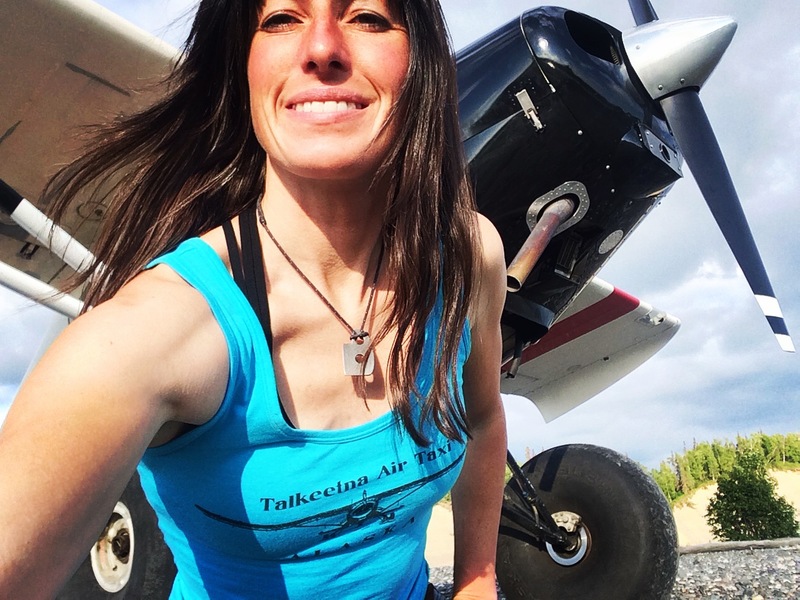 Hermansky has been the SAR pilot for many years, and has saved lives from as high as 19,000 feet. Ranger Erickson, like all his team, is a light in the dark for those trapped on steep mountainsides. On Thunder Mountain, they battled a fierce wind and deteriorating weather as the military ships massed on the glacier below. The Chinooks had become mobile medical/refueling sites, equipped to handle multiple injured. The Pave Hawks and their attendant Pararescuers were prepared for extrication and paramedic duties. A wave of capability was breaking on the shores of Thunder Mountain. Radio silence fell as Erickson assessed the smashed aircraft. There were no survivors. Below the aircraft is a 4,500-foot cliff. Photo courtesy NPS. 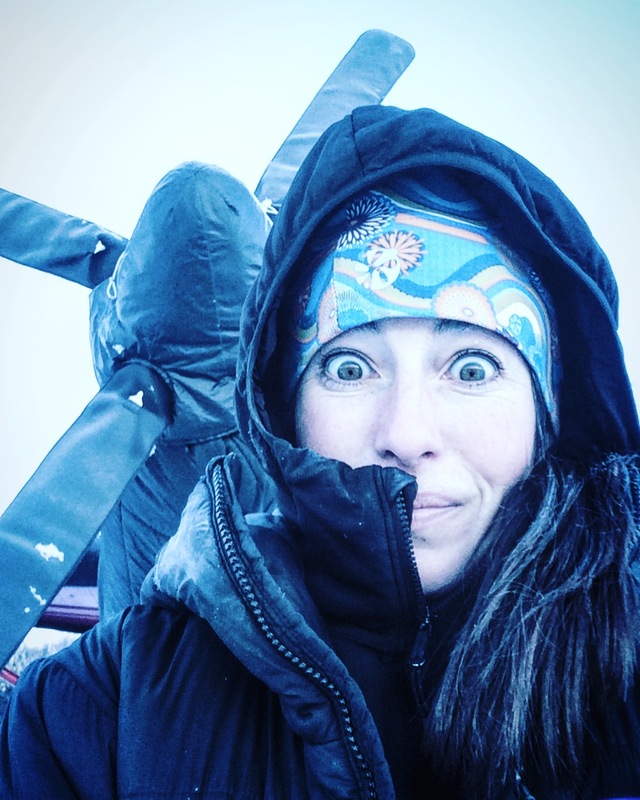 The belle of the ball: this ship and pilot Hermansky (along with all the mountaineering rangers) specialize in high-altitude, snowy, steep, glaciated rescue. 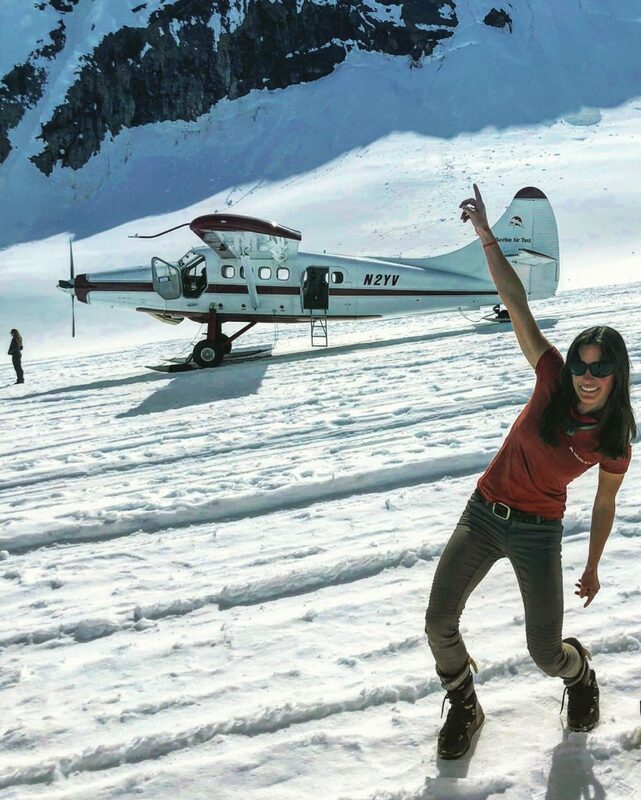 This incident will forever mystify us glacier pilots. 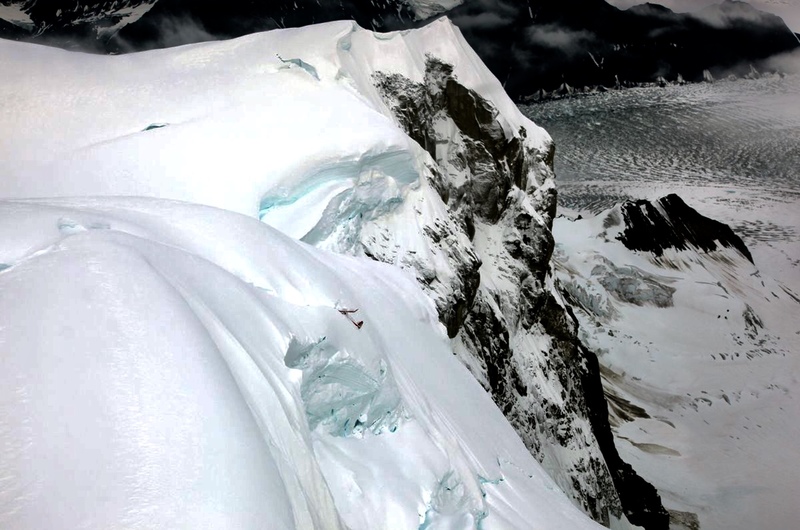 A jagged, snowy ridge at 11,000 feet with swirling clouds is not an improbable place for CFIT. It is, however, an improbable place for a Beaver with other options. We regularly take Beavers past Thunder Mountain on scenic tours, but it seems an odd choice given that the glacier corridor below was so good. But this was not authored to pass judgement on the actions of the pilot. The description of the aircarft’s interior was grim. It is amazing that any occupants survived for any time. Even more amazing was the SAR effort put forth by the Unified Command. The NPS returned to the site a few days later, this time with my husband on the short haul line. 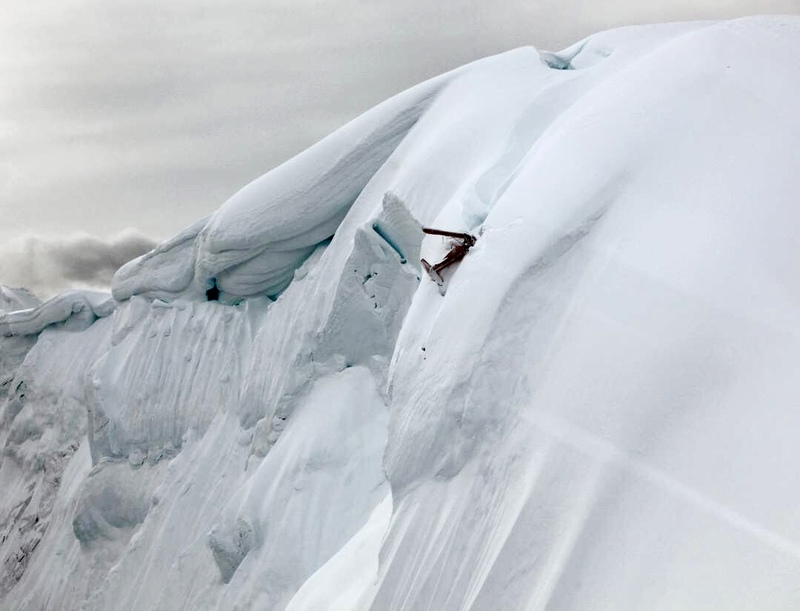 He braved avalanche conditions, a crevasse underneath the aircraft, jagged metal, and (of course) a huge cliff below to assess the recoverability of the bodies. Hermansky hovered for nearly an hour as Chenoweth made his inspection. The enourmous hazards precluded removal. If there had been survivors, they would have had an amazing array of rescuers at their aid. 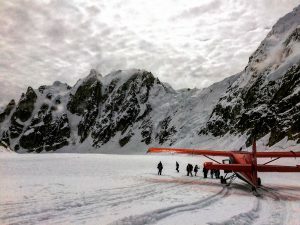 Mountain pilots, capable aircraft, paramedics, climbing experts, extrication experts, and SAR command came together to help the downed airplane. In it’s grief, the community may not have given this the attention it deserves. I encourage detractors of the decision not to remove the bodies to imagine themselves on the end of that short haul line. So I write to highlight this fact: There are a lot of brave, capable people coming to help you after your ELT goes off. If you can survive your darkest hour, there will be light. The final statement was not directed at family members of the deceased. 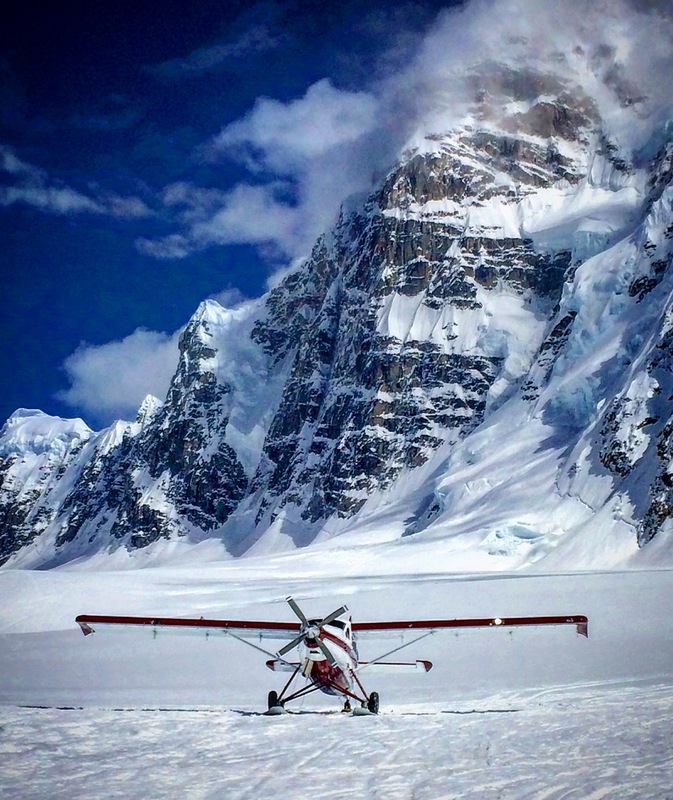 As the spouse of a glacier pilot, he understands the importance of bringing a loved one home. A local detractor with no connection to the deceased has unjustly criticized our brave public servants, and, through unclear motivations, has suggested that private contractors put themselves in harm’s way to attempt removal.